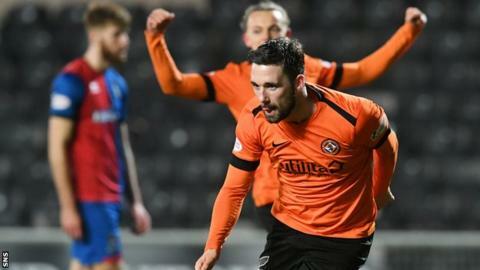 Dundee United kept pace with Ross County at the top of the Championship thanks to Nick Clark's penalty against Inverness Caledonian Thistle. The only goal of the game coming midway though the second half after Peter Pawlett was hauled down by Brad McKay. Clark sent Mark Ridgers the wrong way for his fourth goal in five games. United were reduced to 10 men for the last 20 minutes when Pawlett was shown a red card for a challenge on Coll Donaldson, but they held on. Donaldson came closes to an equaliser with a deflected shot that was tipped over the crossbar by goalkeeper Benjamin Siegrist. The hard-fought but deserved win lifts United three points above Ayr United into second place after Ian McCall's side lost 3-2 away to County, who retain a five-point lead. Dundee United head coach Robbie Neilson: "I thought the first half we played well but couldn't get the ball over the line. "It's massive for us. It takes us a step further and now second in the league." Inverness Caledonian Thistle manager John Robertson: "I'm disappointed. I thought United started very well. Coming down the slope, they got at us with good chances, but then we settled. "We changed our system a bit tonight by playing a diamond in there just to upset them." Match ends, Dundee United 1, Inverness CT 0. Second Half ends, Dundee United 1, Inverness CT 0. Attempt missed. Shaun Rooney (Inverness CT) header from the centre of the box is close, but misses to the left. Corner, Inverness CT. Conceded by Benjamin Siegrist. Attempt saved. Coll Donaldson (Inverness CT) right footed shot from outside the box is saved in the top centre of the goal. Foul by Ian Harkes (Dundee United). Coll Donaldson (Inverness CT) wins a free kick on the right wing. Attempt missed. Pavol Safranko (Dundee United) left footed shot from the centre of the box is too high. Substitution, Inverness CT. Daniel Mackay replaces Joe Chalmers. Corner, Dundee United. Conceded by Coll Donaldson. Corner, Inverness CT. Conceded by Mark Connolly. Attempt blocked. Sean Welsh (Inverness CT) right footed shot from outside the box is blocked. Substitution, Dundee United. 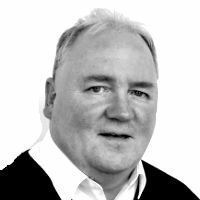 Paul Watson replaces Charlie Seaman. Substitution, Inverness CT. Darren McCauley replaces Charlie Trafford. Pavol Safranko (Dundee United) is shown the yellow card for a bad foul. Foul by Pavol Safranko (Dundee United). Shaun Rooney (Inverness CT) wins a free kick on the left wing. Calum Butcher (Dundee United) wins a free kick in the defensive half. Foul by Charlie Trafford (Inverness CT). Attempt saved. Joe Chalmers (Inverness CT) left footed shot from outside the box is saved in the centre of the goal. Attempt saved. Nathan Austin (Inverness CT) header from the left side of the six yard box is saved in the centre of the goal. Substitution, Dundee United. Morgaro Gomis replaces Nicky Clark. Substitution, Inverness CT. Aaron Doran replaces Kevin McHattie. Attempt missed. Charlie Trafford (Inverness CT) right footed shot from outside the box is close, but misses to the right. Calum Butcher (Dundee United) wins a free kick in the attacking half. Delay in match Kevin McHattie (Inverness CT) because of an injury. Second yellow card to Peter Pawlett (Dundee United) for a bad foul. Kevin McHattie (Inverness CT) wins a free kick on the right wing. Foul by Peter Pawlett (Dundee United). Goal! Dundee United 1, Inverness CT 0. Nicky Clark (Dundee United) converts the penalty with a right footed shot to the bottom left corner. Penalty Dundee United. Peter Pawlett draws a foul in the penalty area. Penalty conceded by Coll Donaldson (Inverness CT) after a foul in the penalty area. Attempt saved. Nicky Clark (Dundee United) right footed shot from the centre of the box is saved in the centre of the goal. Foul by Aidan Nesbitt (Dundee United). Joe Chalmers (Inverness CT) wins a free kick in the defensive half. Attempt missed. Nathan Austin (Inverness CT) header from the centre of the box is just a bit too high. Substitution, Dundee United. Aidan Nesbitt replaces Paul McMullan.